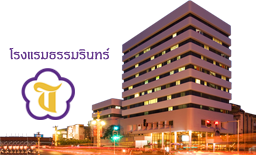 Thumrin Thana Hotel has been welcoming visitors with Trang-style hospitality since 1996. Its spacious and well equipped 289 rooms are perfect for leisure or business travellers alike. Some of the guest rooms have recently been refurbished. 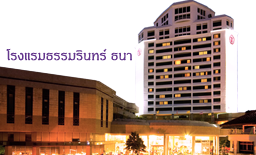 Receiving several travel awards granted by the Tourism Authority of Thailand, the hotel is considered one of the best conference hotels in Southern Thailand. Our professional catering team are more than willing to assist you with any business needs or special occasions. With the hotel's well equipped facilities, for instance, swimming pool, restaurants, cafe, and travel agency, our team is here to make sure your visit is beyond your expectation. Located in the centre of Trang town, staying at Thumrin Thana Hotel is so convenient: only 5-minute drive from Trang Train Station, 15-minute drive from Trang Airport, and in close proximity to banks, restaurants, and markets.